Frankincense is an ancient aromatic resin that has been used in perfumes and incense for 6,000 years. What is the source of the unique aroma we get when we burn frankincense? Until now, the elusive aroma has remained a mystery. Two new molecules have just been discovered by a French team of chemists who were working on isolating the sources of the well known "church" smell. These two molecules, even though they don't reproduce the smell in its entirety, will be very helpful in recreating the whole fragrance in the future. Aside from its usefulness in the perfume industry, this discovery is important for another reason. The frankincense tree, named Boswellia tree, is endangered and could disappear in about 50 years. 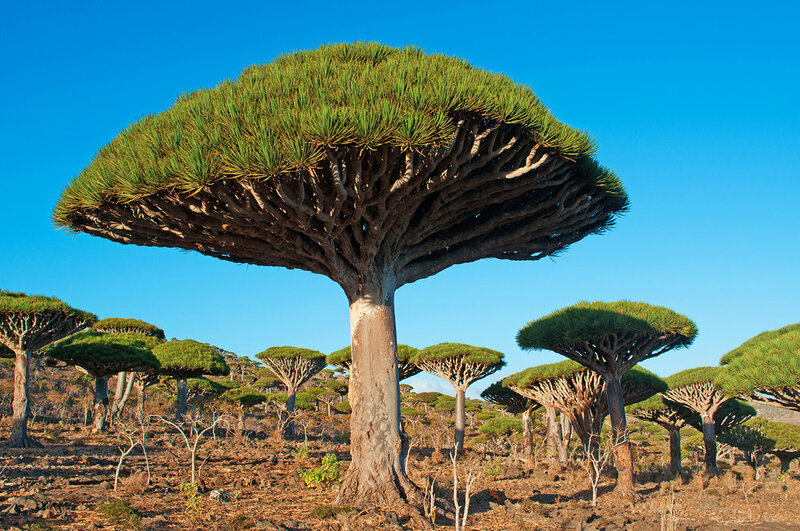 The tree grows in Somalia, Oman and Yemen, in the African continent, and starts producing resin when it is 8 to 10 years old. The resin is extracted from the bark of the tree using taps. It is then air-dried and produces pale yellow droplets that, when burnt, give off the familiar Christmas, church-like aroma of frankincense.